The Research Data Alliance (RDA) builds the social and technical bridges that enable open sharing of data.â Now in its third year, the Research Data Alliance has grown to over 3000 members from more than 100 countries worldwide. The RDA envisions open sharing of data across borders, technologies, and disciplines. With IU officially joining as a member organization in July of 2015, it is a good time to review the activity from the RDA with the researchers and IT professionals at IU that might benefit from the results and outputs. The presentation discusses the RDA organization structure, IU' s role as a member organization, and the current activities and outputs from the RDA working groups. This allows the technical and professional staff at IU to offer feedback on what important Big Data issues they face and how these issues might lead to discussion and action within RDA. These records contain information about select teachers in Lake County, Indiana during most of the 1930s. The collection is arranged alphabetically by teacher surname. Types of data include address (local and home), high school attended with graduation date, advanced training institutions attended and graduation dates, experience by county and/or state, grades taught, total years/months, Indiana license grade levels, issue dates, and expiration dates, high school subjects taught, monthly salary, number of pupils, and present school assignment. These records contain information about select teachers in Lake County, Indiana during most of the 1930s. The collection is arranged alphabetically by teacher surname. Types of data include address (local and home), high school attended with graduation date, advanced training institutions attended and graduation dates, experience by county and/or state, grades taught, total years/months, Indiana license grade levels, issue dates, and expiration dates, high school subjects taught, monthly salary, number of pupils, and present school assignment. If you locate a record of interest and would like a copy, please contact the Calumet Regional Archives at Indiana University Northwest at 219-980-6628 or email archivist Stephen McShane at smcshane@iun.edu. Schumann's Violin Concerto: A Neglected Treasure? This article discusses quilts in the Polk's Fancy pattern, an example of the red, green, and white classic floral quilt style. The pattern apparently originated in the Mexican American War (1846-48) era in southern Indiana. This document is the conference program and abstracts for the annual meeting: “Ecologies, Encounters, and Enactments” of the American Folklore Society held at the Westin Long Beach Hotel in Long Beach, CA on October 14-17, 2015. Efforts to map the human protein interactome have resulted in information about thousands of multi-protein assemblies housed in public repositories, but the molecular characterization and stoichiometry of their protein subunits remains largely unknown. Here, we report a computational search strategy for hierarchical top-down analysis, identification, and scoring of multi-proteoform complexes by native mass spectrometry. ; The authors thank members of the Kelleher research group and Prof. V. Wysocki for helpful discussions and advice. O.S.S. is supported by a U. S. National Science Foundation Graduate Research Fellowship (2014171659). P.C.H. is a recipient of a Northwestern University's Chemistry of Life Processes Institute Postdoctoral Fellowship Award. L.H.F.D.V. is supported under CNPq research grant 202011/2012-7 from the Brazilian government. H.S.S is supported under the Science Without Borders scholarship 88888.075416/2013-00 from the Coordination for the Improvement of Higher Education Personnel, under the Brazilian government. This work was supported by grants from the W.M. Keck Foundation (DT061512) and the U.S. National Institutes of Health (GM067193) to N.L.K. In October the Northwest Indiana Coincident Index remained at 141.3. The index remains unchanged despite a 5% increase in steel production and the addition of 2,300 jobs, which returns employment to the level from the start of the year. 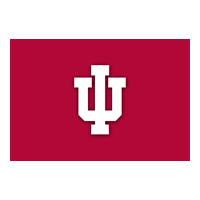 In September 2014, the Indiana University (IU) Office of the Vice President for IT and CIO (OVPIT) requested an independent value assessment of IU’s cyberinfrastructure (CI) from the perspective of current and former IU faculty. This report includes the detailed findings of the assessment and provides recommendations for improving the value of IU’s services to faculty.